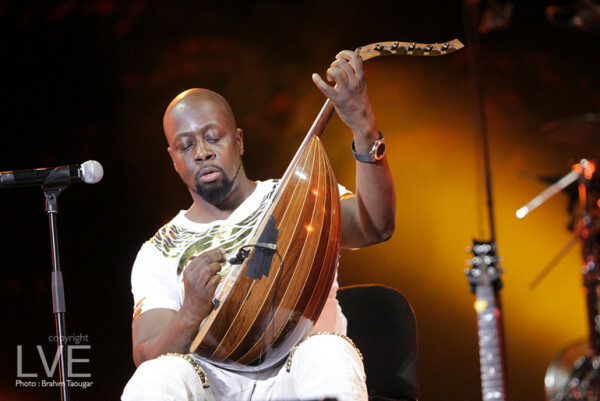 Rabat – The Grammy award-winner and hip hop legend Wyclef Jean left thousands of Moroccan fans in a frenzy on Sunday at OLM Suissi stage during the Mawazine Festival and did not miss the opportunity to express his disagreement with Donald Trump’s opinions. The celebrity is against Trump’s views on immigration, Islam, and Muslims. Applauses and cheers overwhelmed Wycleff who interacted greatly with the fans, including children four of whom the celebrity invited to perform with him on stage, which further excited the audience. The star praised Morocco, covered himself with the Moroccan flag, hailed peace and co-existence in the kingdom, and showed pride in his African roots. Wycleff celebrated the soul of Bob Marley singing ‘’No Woman No Cry’’ – adding to it some messages such as his disapproval of Donald Trump’s opinions. Wyclef also enchanted the audience when he shouted ‘’Allah Akbar,’’ (God is the greatest) celebrating Islam and Muslims during his performance. The Haitian artist left an indelible impression on the audience and succeeded in representing the principles of tolerance and multicultural diversity which Mawazine has defended since its inception.